I did the update and I can’t log into my account. I logged into the website without a problem but I can’t log in through the app. How can this be corrected? I deleted the app multiple times and still nothing. So frustrating! I love this app, especially the work out generator! One thing I’d like to see is my workout be locked in, for example sometimes I’m mid work out have my phone on me and I accidentally shuffle my exercise or sometimes I hit the back button more than once. If there was a “hey are you sure your done with this work out” option before exiting or shuffling an exercise routine you already chose to do that’d be dope. I thought the app would be a great change from my normal workouts. However, majority of the exercises are ones already in my current routine. It was a waste of money. Love this app! But every time I do Quads, the generator will give me the exact same exercises no matter how many times I press “choose another”. Not sure if I’m the only one experiencing this. I would understand if a few of the exercises stayed the same, but it’s literally the exact same ones every time and I’ve had the app for a couple months. Like I said, I love the app and I trust Katy, but this has been slightly frustrating whenever I’m having a leg day. 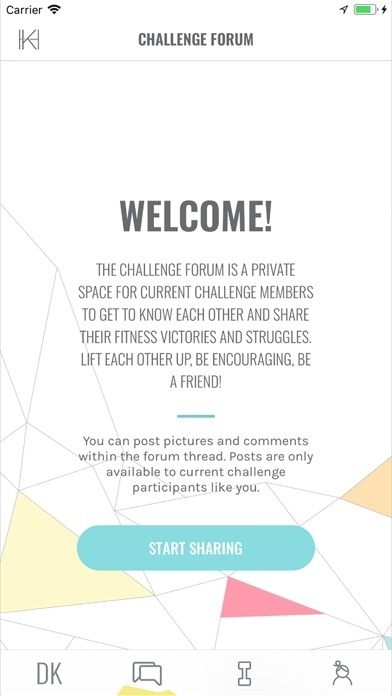 I’ve deleted and reinstalled app to try and make it work because I like the concept of the workout generator, but it’s frustrating while you’re working out and switch apps and then come back and it’s either frozen or it completely wipes out the completed segments and then randomizes a different workout. 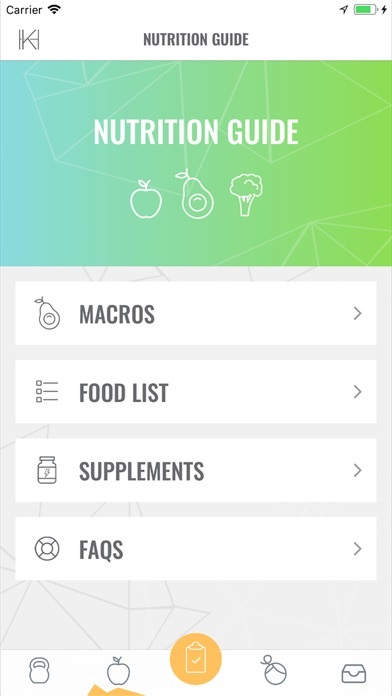 Great app all together, I use mostly the workout generator. I know my way around a gym and know what to workout for what body part but this is great so I don’t have to think. You pick home or gym, then body part and there you go, instant routine. Only 2 minor things I’d like to see added in the app: 1. Leg workouts are soooo long and I don’t always have more than 45mins-1hr to spare in the gym. Anyway to add length of time wanted to a workout or just have a shorter option to the workout generator? 2. I’d love for the workout to stay on my home screen as if it were a music app so I don’t have to open my phone to see the current or next exercise. I think that would also draw attention to it while at the gym and would help market it more :) Again awesome app! One of the greatest perks is that it has a loving family behind it. Love Katy, Haydn and their little Axel. Keep up the amazing work! 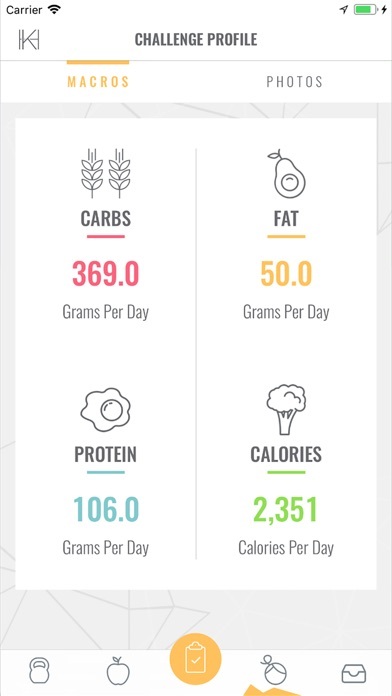 Love the app, but I feel it’s missing a few really important items - 1. 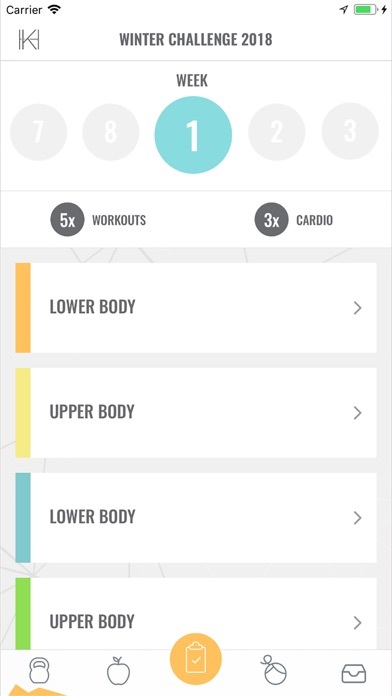 Ability to view your workout history - to see what you lifted in the days before 2. Logging weight used - to track progress and work towards increasing 3. Slight editing of workout - keep recommended sets/reps, but allow ability to edit in case you are unable to perform an exercise within the workout or just want to adjust the sets/reps The app is great but would be thrilled to see these enhancements!!! I’ve been loving the app, from the Promos to the Generator, it’s great and easy to navigate. That being said, I think a few things could be improved to optimize the experience. My suggestions would be when using a promo, it would be helpful for it to “remember” what week you’re on and automatically open to that week. Also, it would be helpful to have a check mark on each “week” page next to each section (i.e. lower body, upper body) that was completed once you hit the completed button. Sometimes i find myself having to click on each section to remember which ones I’ve completed or not if I have to skip a day or two at the gym. So glad I can use this app for my workouts, it’s super helpful and keeps me motivated! The app did nothing. I was so excited to download it but it was such a waste of time. The work our generator didn’t work. The app was confusing. When I emailed for help I received no help. Don’t waste your money, it’s such a disappointment!